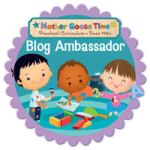 We’ve been focusing on how to make friends and learning about our feelings with Mother Goose Time‘s Friends & Feelings kit for September 2018. 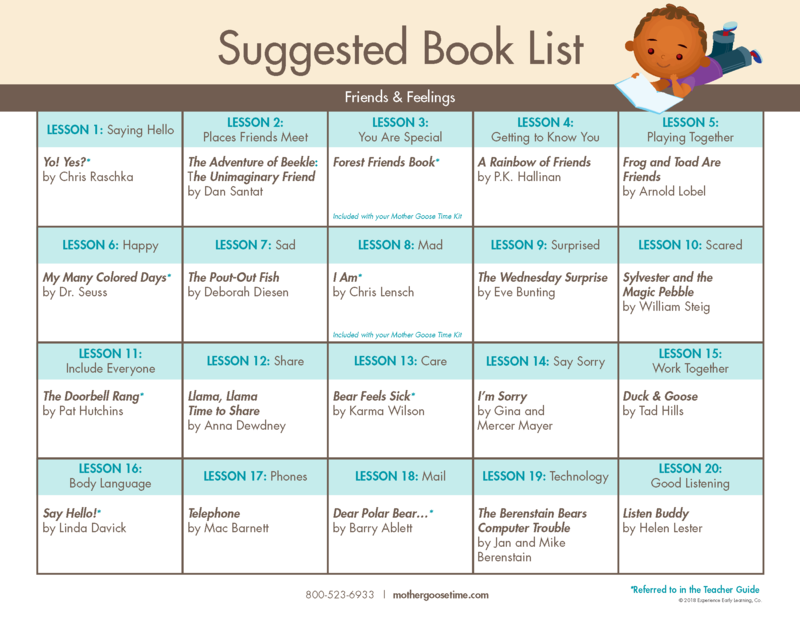 One of the suggested books from the book list is My Many Colored Days. I love this book by Dr. Seuss! 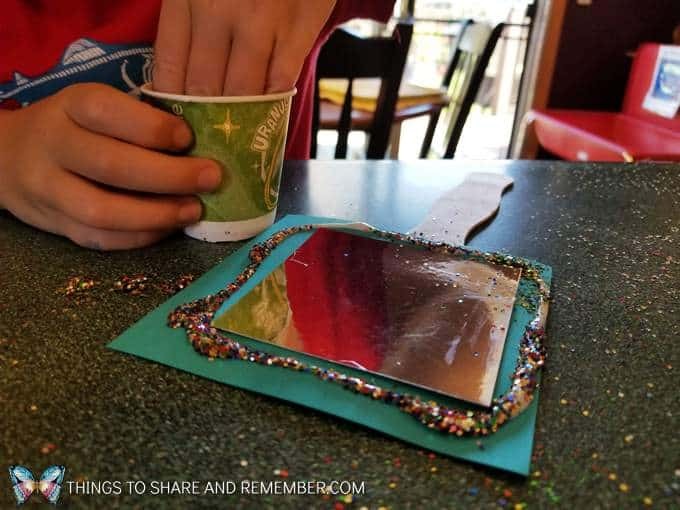 Applying a color to how we feel is another way to learn about feelings and express ourselves. 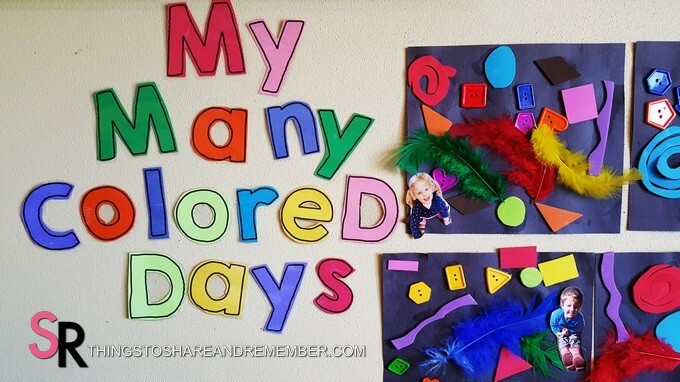 See our My Many Colored Days Collages, display, and related sad and color blue activities. 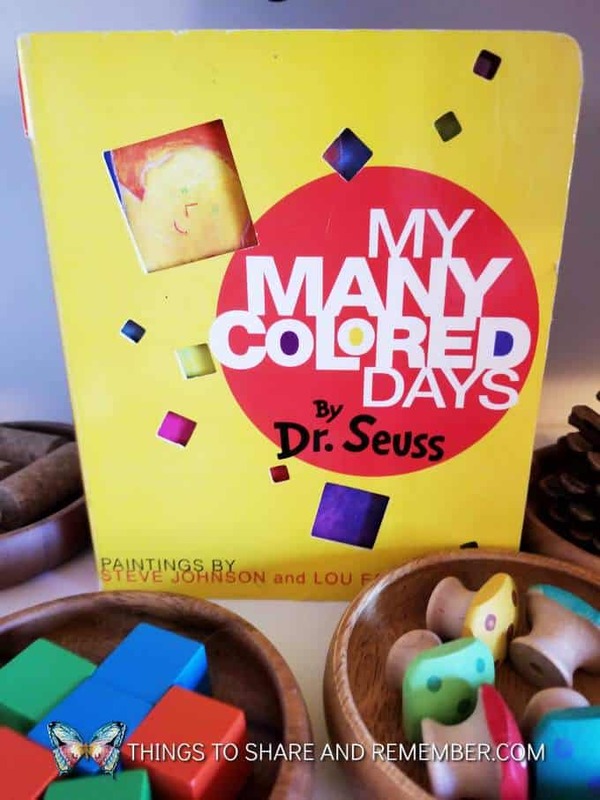 My Many Colored Days is a must have book for young children. 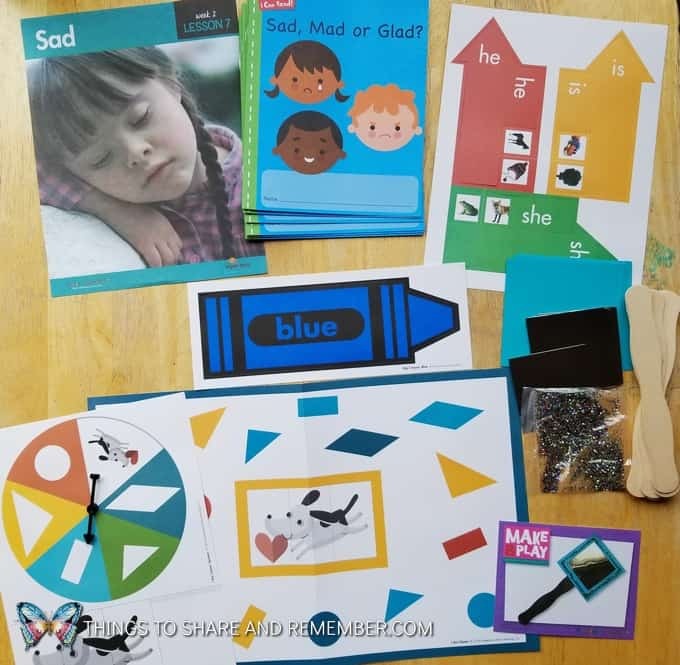 It’s a short board book but it captures the children’s attention, describes feelings wonderfully and provides an opportunity to further discuss feelings. I can’t say I’m a big fan of Dr. Seuss (shhh, don’t tell!) but I love this book. 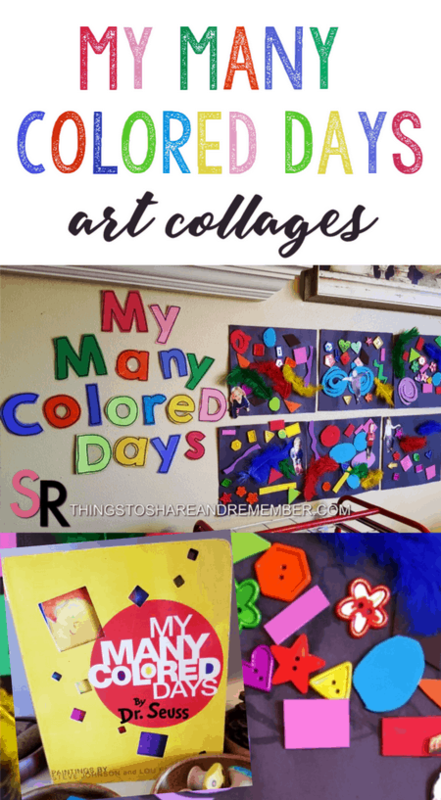 To make the many colored days collages, simply provide a piece of black construction paper or cardstock, glue, and brightly colored collage materials. 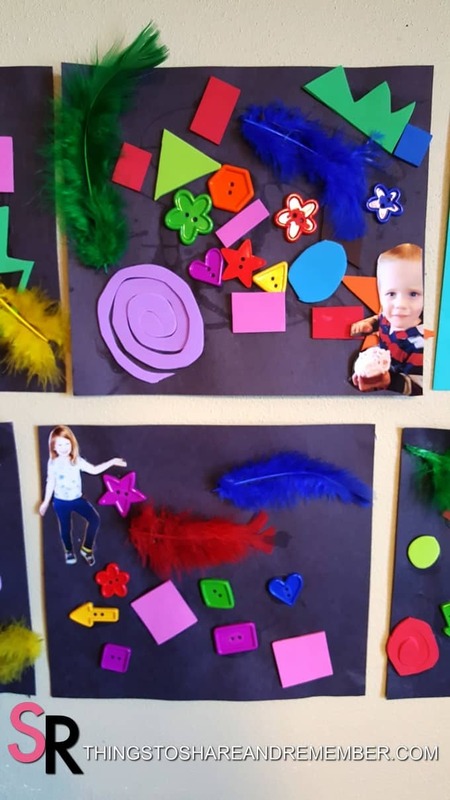 We used craft foam cut into shapes, large buttons and feathers. Some days are yellow. 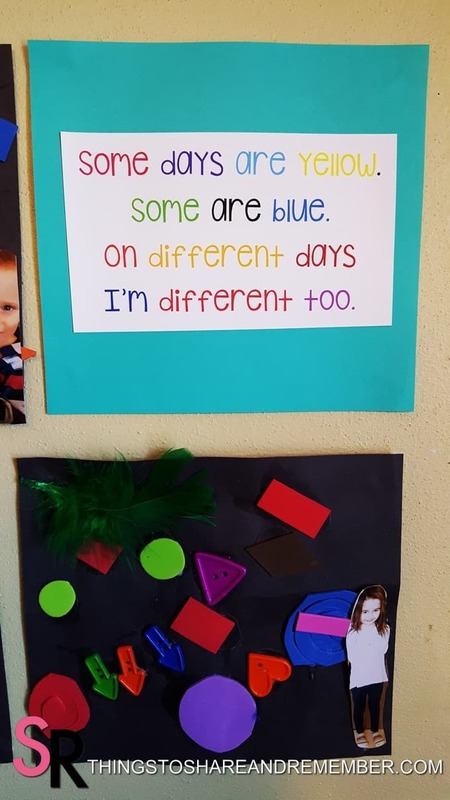 Some days are blue. On different days I’m different too. 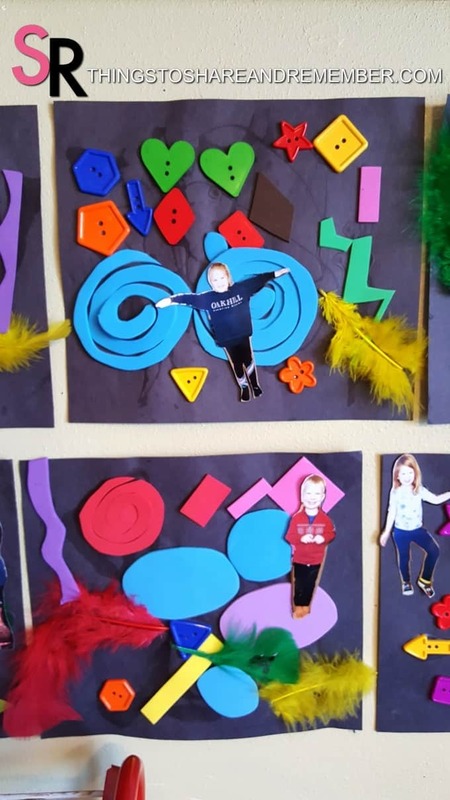 After creating the collages we personalized them with each child’s photo. Super cute! 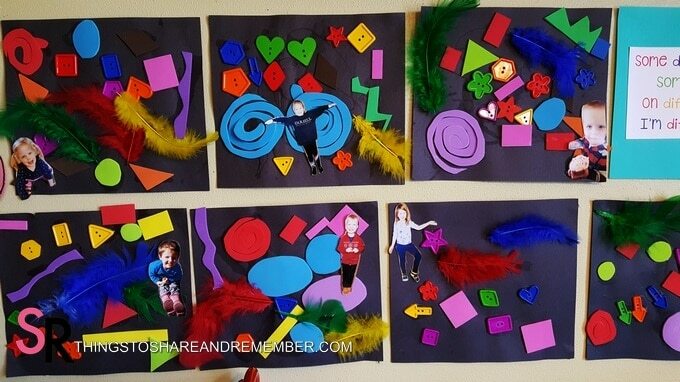 The collages are bright and fun for a class display. 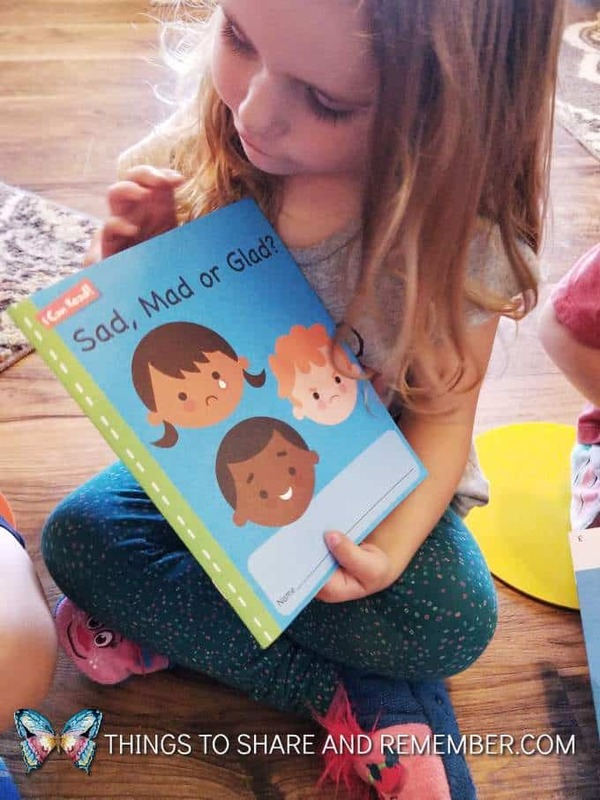 Lesson #7 is all about feeling sad. All the materials included for lesson #7. 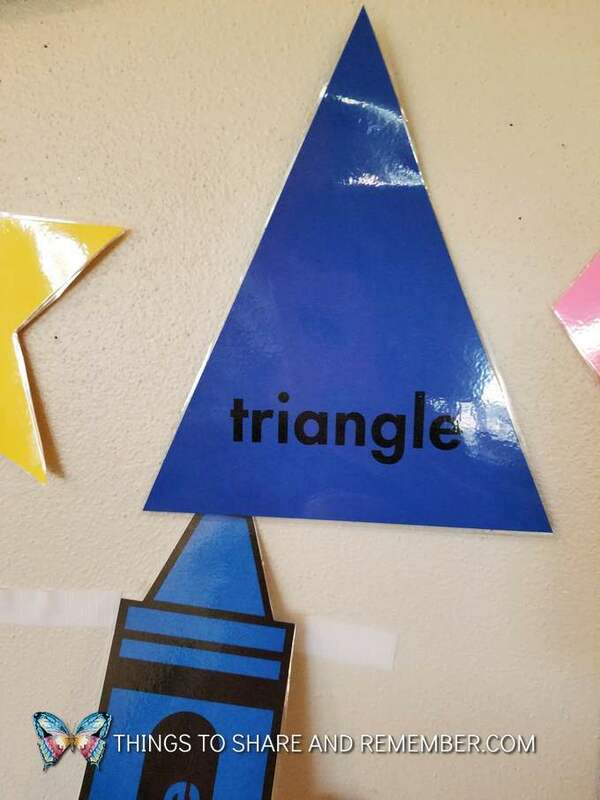 Playing the shape game. 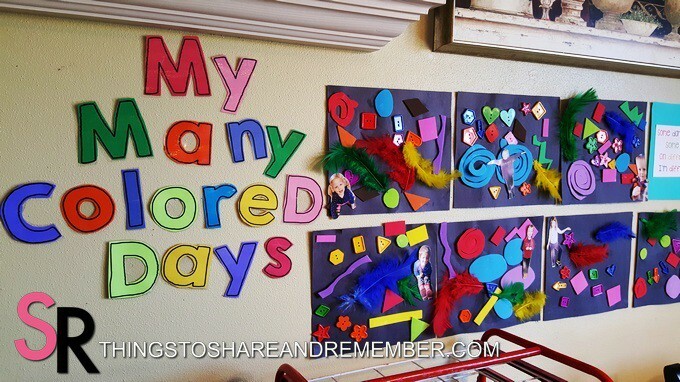 I love all the shape and color activities dispersed throughout the monthly materials. 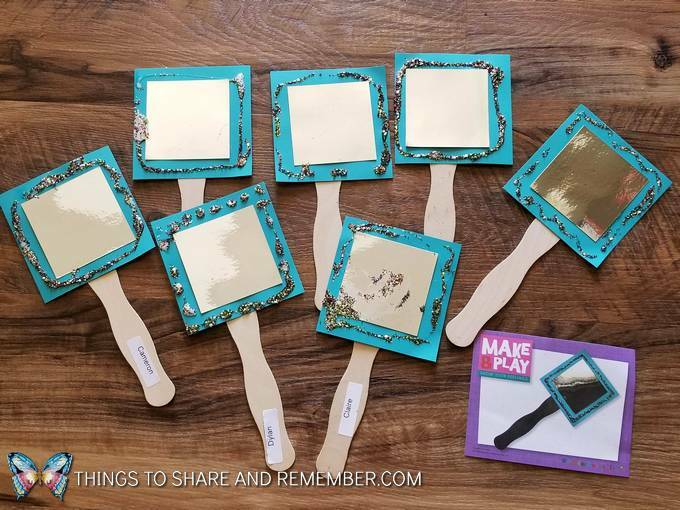 Many of the games can be played independently (I put them out as a center) or with a small group. 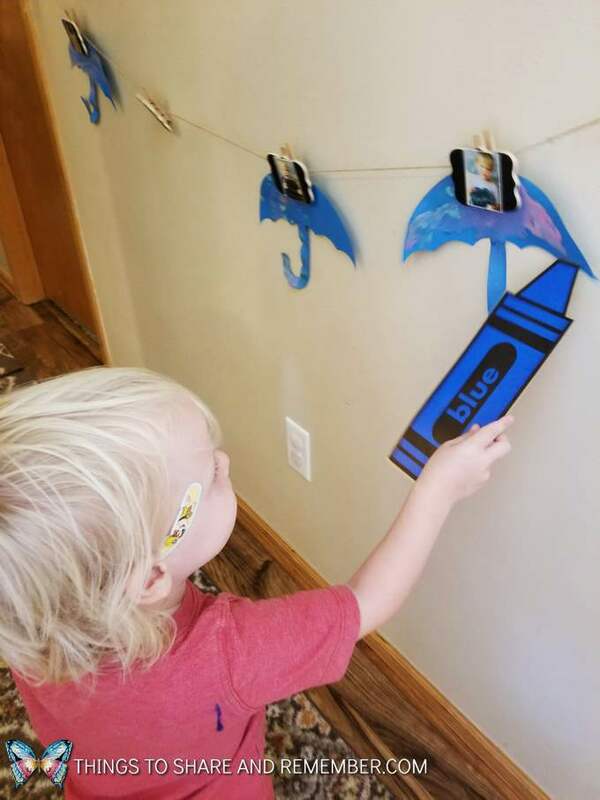 After looking around the room for something that’s blue and pointing to it with the blue crayon, we painted with two shades of blue. 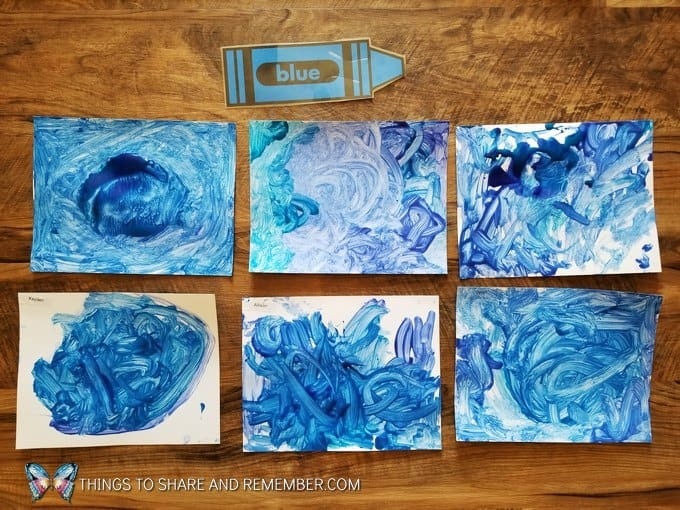 Our blue paintings – we used two shades of blue paint. 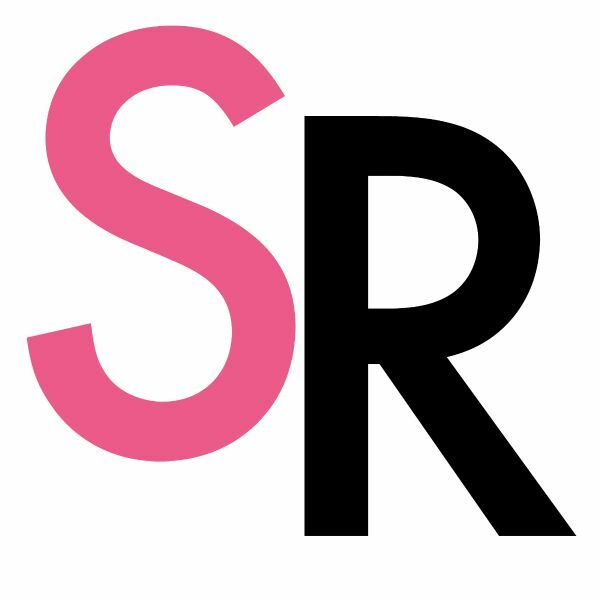 An easy way to explore colors! 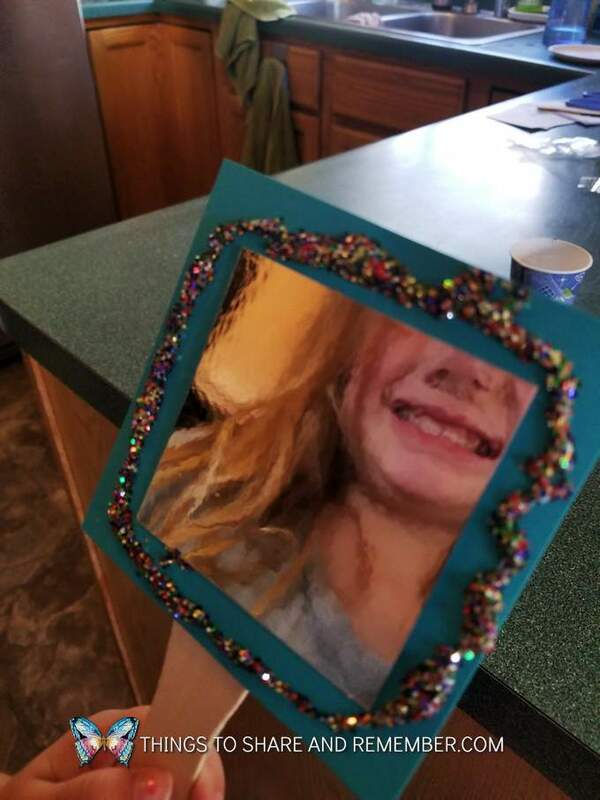 We made little mirrors with simple supplies – craft sticks for handles, colored paper, and mirrored card stock. 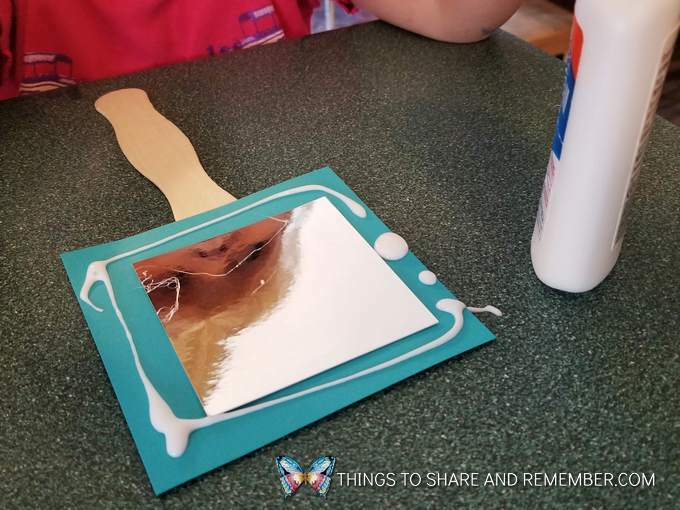 Each child decorated their mirror as desired with markers, glue and glitter. 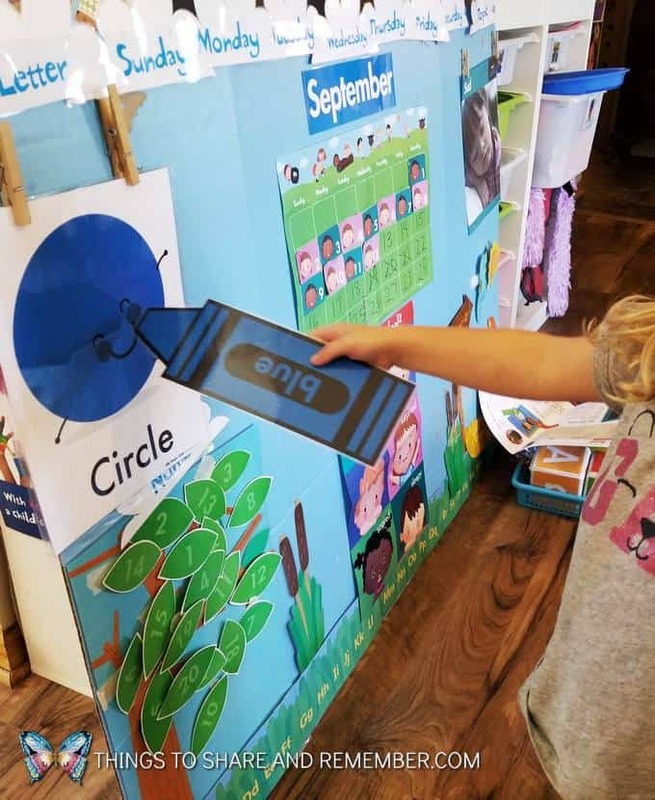 These *awesome* I Can Read books from Mother Goose Time focus on a few sight words and coordinate with the monthly theme. 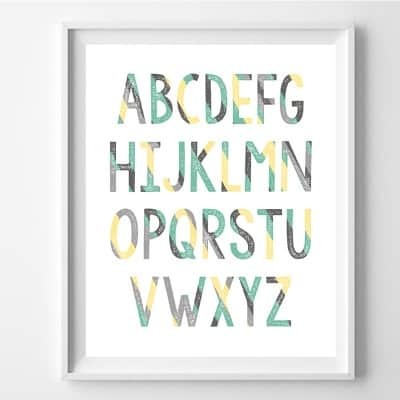 Word pointers are included so the children can look through their books and find words. 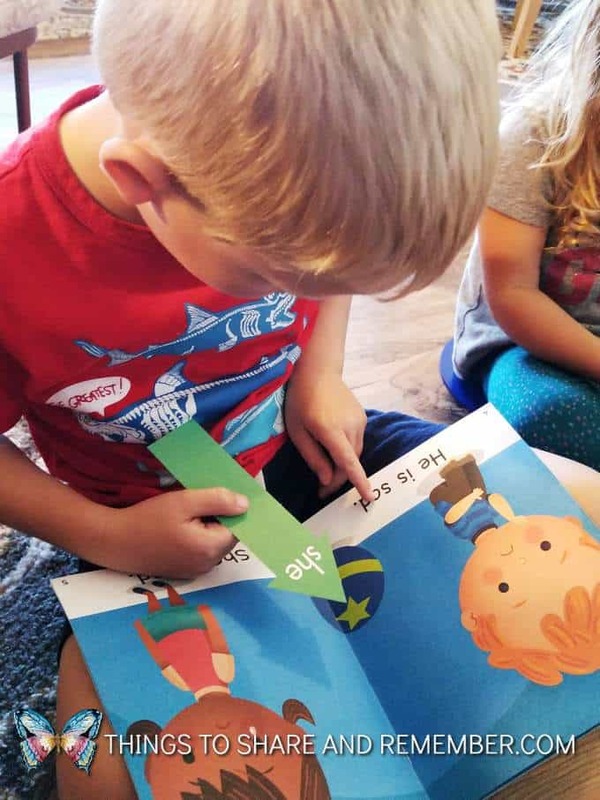 Little readers in the making! 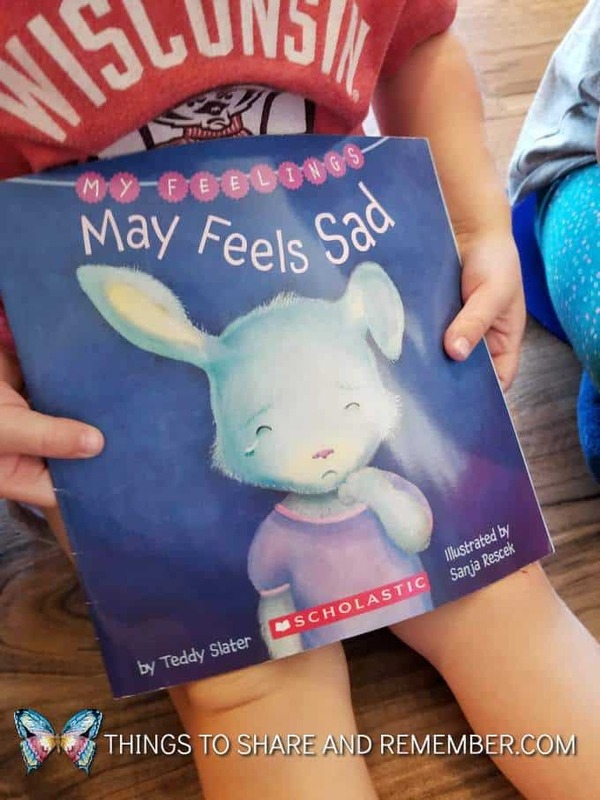 We also read the book May Feels Sad from the My Feelings series from Scholastic. 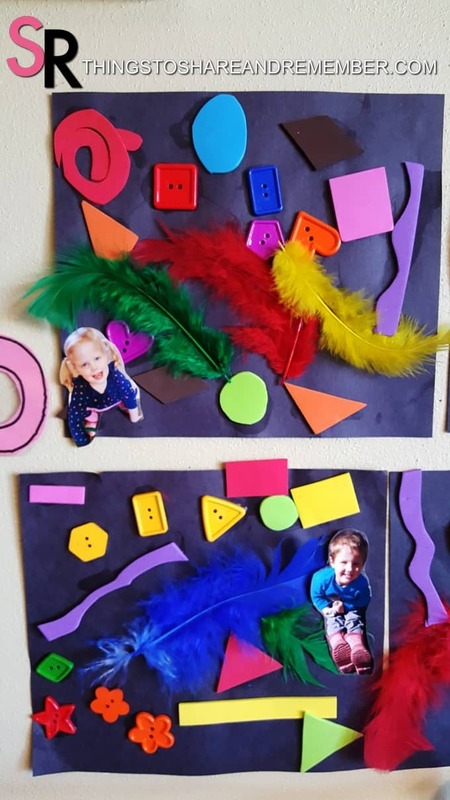 Learning about feelings through colors is so fun! 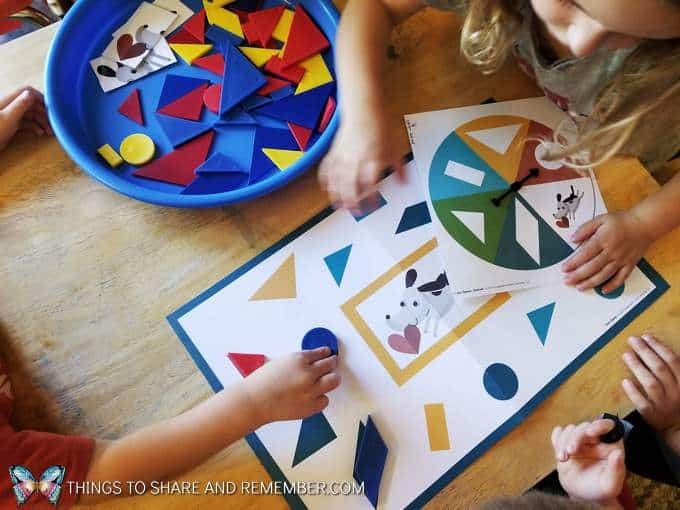 Previous Post: « Picasso in Preschool?